DamenCNC moves to new facility | DamenCNC B.V.
DamenCNC BV has made a steady growth over the past few years. Accompanying this growth we needed more space for our workshop, offices and warehouse. We started in Alphen aan den Rijn on the L.Pasteurweg 17, then after a few years acquired 15, and later also 13. It did not make sense anymore to further expand on the L.Pasteurweg, so we have been looking for a new facility for a while. We found a new place also in Alphen aan den Rijn, it is on the Eikenlaan 257A. 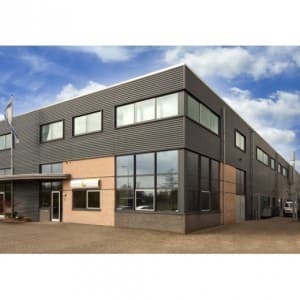 Our new premises have 700m2 which is more than double the space we had (300m2) The new facility is not only larger, but easier to reach from the main road (N11).